We reference to this table so often I thought it might be useful to post it on the blog. The shortened antenna table is first. This is the dipole that I am using in Mentone, AL. 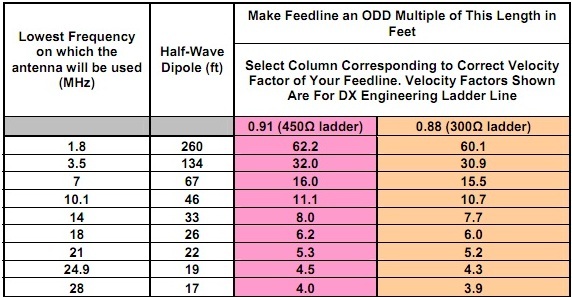 The table and the complete article are available directly from DX Engineering. Below the table be sure to see the antenna plots produced by WA5MLF. The plots show both horizontal and vertical radiation patterns by band. 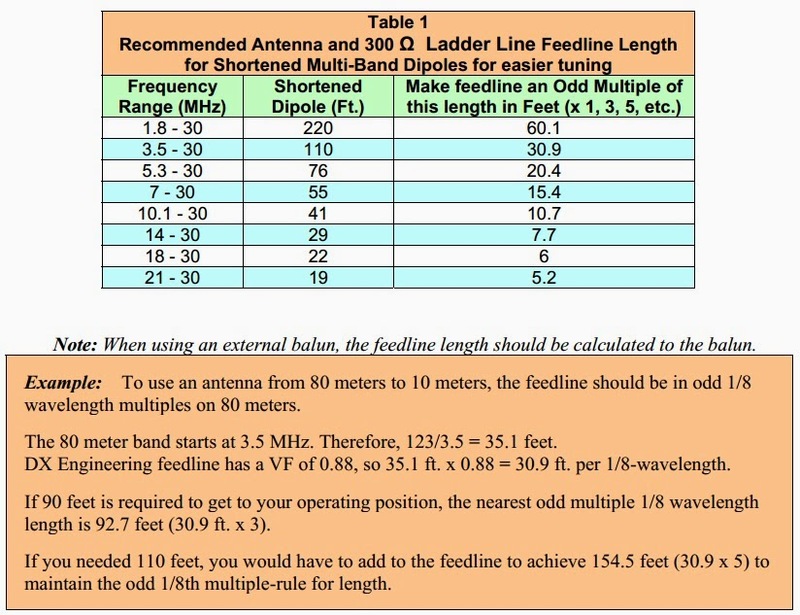 W4UOA's multiband dipole is 220 feet long and fed with approximately 60 feet of 450 ohm balanced line terminating in a 4:1 DX Engineering Balun, Polyphaser lightning arrestor, and 40 feet of coaxial cable to the transceiver. The source of the following table is in doubt. If anyone can definitively source this table, please let me know. Thank you!